South Orange, New Jersey: Plans have been revealed for another new residential project in South Orange. According to a legal notice from the Township of South Orange Village, a development has been proposed for 70 Second Street, between Valley Street and Academy Street, near the community's downtown. When completed, the building is slated to include five townhouse units, and the developer 70 2nd Street, LLC, of West Orange, is now seeking preliminary and final site plan approval, as well as variance approval, for the project. South Orange's Zoning Board of Adjustment will hear the proposal during its meeting on Tuesday, February 7th at 7:00pm at the South Orange Performing Arts Center. Currently, the property, which is located across the street from an office of the Northern New Jersey Eye Institute, contains a house dating back to 1889. 70 2nd Street, LLC acquired it in 2014, according to NJ Parcels property records. Around the corner at 114-116 Valley Street, an eight-unit mixed-use development is planned, and additional projects are proposed along the Valley Street corridor. Newark, New Jersey: The public will have an opportunity this week to see the progress being made on a new residential project in Newark. A building known as The Willows at Symphony Hall, originally named The Residences at Symphony Hall, is rising at 359-407 Halsey Street, between West Kinney Street and Crawford Street, in the city's Central Ward. It is being developed by Ingerman of Collingswood, Camden County and BCM Affordable Housing of Paoli, Pennsylvania. According to Ingerman, when completed, The Willows will contain 60 affordable apartments, 20 of which feature one bedroom while 40 will contain two bedrooms, in addition to artist spaces, sundecks, a fitness center, a playground, and parking. The project is receiving a $525,000 sponsorship from Peapack-Gladstone Bank. This Thursday, February 2nd, Ingerman and BCM will host a hard hat tour of the development, which is scheduled to open in the spring, at 1:00pm. Admission to the event is free. Those interested in attending can click here to register for the tour. Getting fit for charity! 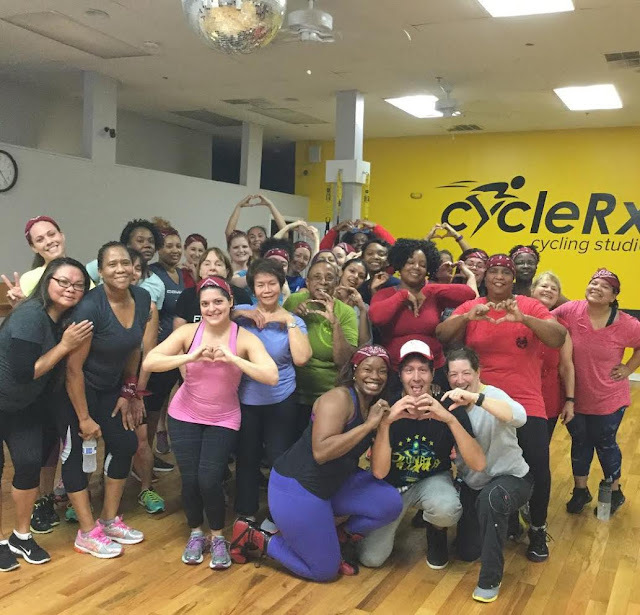 Spa Lady South Orange teamed up with the American Heart Association for a Zumba-thon fundraiser on January 7th. This photo shows the Thomas Edison National Historical Park complex and Orange as seen from Eagle Rock Reservation in West Orange. This photo shows a view of Fairfield, including the Fairfield water tower, from Caldwell. This Rutgers-Newark parking lot was closed last month to make way for the Honors Living-Learning Community. Newark, New Jersey: New Jersey's largest public school system is planning new offices. According to a legal notice, Newark Public Schools (NPS) is planning a "new board headquarters" within 765 Broad Street in Downtown Newark, a seven-story office building located across Bank Street from the main Prudential building. The notice states that the new facility is slated to consist of 100,000 square feet of office space for use as central offices and for other school purposes, and "is projected to substantially reduce the District's current expenses for central office operations". Currently, NPS' central offices are located within an office building a few blocks away at 2 Cedar Street, but the lease is slated to expire on July 31st. A public hearing regarding this proposal will be held in the 10th floor conference room of that building on Thursday, February 2nd at 5:30pm. Those interested in speaking at the hearing must email majones@nps.k12.nj.us or call Martha Jones at (973) 733-7225 by February 1st. This proposal must also be approved by the Newark Board of Education, the Commissioner of Education, and the Local Finance Board of the Department of Community Affairs, according to the notice, which also states that the projected maximum funding level of the new lease is estimated at $42.5 million for a 16-year term. This photo was taken along Bloomfield Avenue in Caldwell. This photo shows the September 11th Memorial at Eagle Rock Reservation in West Orange. This photo shows Newark's Branch Brook Park at sunset. This photo shows Mitchell and South Jefferson Streets in Orange. Following the presidential inauguration and luncheon, a motorcade carrying President Donald Trump drove from the United States Capitol to The White House in Washington, DC. Click here to see video of the presidential motorcade arriving at the inauguration. The photo above shows 'The Beast' carrying the First Family. Thousands of protesters from across the country filled the streets of Downtown Washington, DC on Friday before, during, and following the presidential inauguration of Donald Trump. This photo shows the front of South Orange's Baird Community Center, which is being rehabilitated. Development in Orange's Valley Arts District is continuing. This sign for The Orange Machine and Manufacturing Company remains near the Highland Avenue Train Station. This photo was taken at Cameron Field in South Orange. This photo shows South Jefferson Street in Orange at sunset. This photo shows a gaslight in South Orange. This mural is located along Valley Road in West Orange. Newark, New Jersey: A new law enforcement building is planned for Newark. City records show that the Essex County Sheriff's Office is planning a new headquarters for its patrol division in Fairmount neighborhood of the city's West Ward. The building is slated to rise at 525-545 West Market Street, at the corner of Sussex Avenue. Currently, most of the property is a gated vacant lot that is owned by the City of Newark. The site sits adjacent to Interstate 280, and is across the street from the former United Hospital site, which is being converted into the Essex County Donald M. Payne, Sr. Vocational-Technical Campus. Comito Associates, PC, of Newark, is listed as the project architect and engineer. Records from the New Jersey Election Law Enforcement Commission database show that Gregory Comito, the firm's founder and president, has donated $6600 to the campaign of County Executive Joseph DiVincenzo, Jr. since 2008, in addition to funds towards the Essex County Democratic Committee. Newark's Central Planning Board approved a courtesy review of the project during its meeting on January 9th. The Essex County Sheriff's Office Patrol Division is currently based in the Essex County Park Commission Administration Building on Clifton Avenue. The division took over the Essex County Division of County Police in 2006. The ice skating rink at the Meadowland Park tennis courts in South Orange has returned. This photo shows the Nia Fellowship Baptist Church, previously home to Ridgeview Community Church, in West Orange. This photo shows a view of the abandoned Hospital Center at Orange, also known as Orange Memorial Hospital, from West Orange with Jersey City in the distance. New York, New York: Hundreds of reporters and photographers packed the lobby at Trump Tower in Midtown Manhattan on Wednesday morning for President-elect Donald Trump's first formal press conference in months. President-elect Trump was joined by Vice President-elect Mike Pence, attorney Sheri Dillon of Morgan Lewis, Sean Spicer, Rudy Giuliani, Stephen Bannon, Kellyanne Conway, Ivanka Trump, Eric Trump, and Donald Trump, Jr, and responded to a select number of questions from reporters sitting in the first four rows. Click here to see Essex County Place's videos from the event.